A recently proposed idea, according to which dark matter may be superfluid, has now become more concrete, thanks to a new paper by Justin Khoury and collaborators. Astrophysicists invented dark matter because a whole bunch of observations of the cosmos do not fit with Einstein’s theory of general relativity. According to general relativity, matter curves space-time and, in return, the curvature dictates the motion of matter. Problem is, if you calculate the response of space-time to all the matter we know, then the observed motions doesn’t fit the prediction from the calculation. This problem exists for galactic rotation curves, velocity distributions in galaxy clusters, for the properties of the cosmic microwave background, for galactic structure formation, gravitational lensing, and probably some more that I’ve forgotten or never heard about in the first place. There are many types of modified gravity and most of them work badly. That’s because it’s easy to break general relativity and produce a mess that’s badly inconsistent with the high-precision tests of gravity that we have done within our solar system. However, it has been known since the 1980s that some types of modified gravity explain observations that dark matter does not explain. For example, the effects of dark matter in galaxies become relevant not at a certain distance from the galactic center, but below a certain acceleration. Even more perplexing, this threshold of acceleration is related to the cosmological constant. Both of these features are difficult to account for with dark matter. Astrophysicists have also established a relation between the brightness of certain galaxies and the velocities of their outermost stars. Named “Baryonic Tully Fisher Relation” after its discoverers, it is also difficult to explain with dark matter. On the other hand, modified gravity works badly in other cases, notably in the early universe where dark matter is necessary to get the cosmic microwave background right, and to set up structure formation so that the result agrees with what we see. For a long time I have been rather agnostic about this, because I am more interested in the structure of fundamental laws than in the laws themselves. Dark matter works by adding particles to the standard model of particle physics. Modified gravity works by adding fields to general relativity. But particles are fields and fields are particles. And in both cases, the structure of the laws remains the same. Sure, it would be great to settle just exactly what it is, but so what if there’s one more particle or field. It was a detour that got me interested in this: Fluid analogies for gravity, a topic I have worked on for a few years now. Turns out that certain kinds of fluids can mimic curved space-time, so that perturbations (say, density fluctuations) in the fluid travel just like they would travel under the influence of gravity. The fluids under consideration here are usually superfluid condensates with an (almost) vanishing viscosity. The funny thing is now that if you look at the mathematical description of some of these fluids, they look just like the extra fields you need for modified gravity! So maybe, then, modified gravity is really a type of matter in the end? I learned about this amazing link three years ago from a paper by Lasha Berezhiani and Justin Khoury. They have a type of dark matter which can condense (like vapor on glass, if you want a visual aid) if a gravitational potential is deep enough. This condensation happens within galaxies, but not in interstellar space because the potential isn’t deep enough. The effect that we assign to dark matter, then, comes partly from the gravitational pull of the fluid and partly from the actual interaction with the fluid. If the dark matter is superfluid, it has long range correlations that give rise to the observed regularities like the Tully-Fisher relation and the trends in rotation curves. In galaxy clusters, on the other hand, the average density of (normal) matter is much lower and most of the dark matter is not in the superfluid phase. It then behaves just like normal dark matter. The main reason I find this idea convincing is that it explains why some observations are easier to account for with dark matter and others with modified gravity: It’s because dark matter has phase transitions! It behaves differently at different temperatures and densities. In solar systems, for example, the density of (normal) matter is strongly peaked and the gradient of the gravitational field near a sun is much larger than in a galaxy on the average. In this case, the coherence in the dark matter fluid is destroyed, which is why we do not observe effects of modified gravity in our solar system. And in the early universe, the temperature is too high and dark matter just behaves like a normal fluid. In 2015, the idea with the superfluid dark matter was still lacking details. But two months ago, Khoury and his collaborators came out with a new paper that fills in some of the missing pieces. Their new calculations take into account that in general the dark matter will be a mixture of superfluid and normal fluid, and both phases will make a contribution to the gravitational pull. Just what the composition is depends on the gravitational potential (caused by all types of matter) and the equation of state of the superfluid. In the new paper, the authors parameterize the general effects and then constrain the parameters so that they fit observations. Yes, there are new parameters, but not many. They claim that the model can account for all the achievements of normal particle dark matter, plus the benefits of modified gravity on top. And while this approach very much looks like modified gravity in the superfluid phase, it is immune to the constraint from the measurement of gravitational waves with an optical counterpart. That is because both gravitational waves and photons couple the same way to the additional stuff and hence should arrive at the same time – as observed. It seems to me, however, that in the superfluid model one would in general get a different dark matter density if one reconstructs it from gravitational lensing than if one reconstructs it from kinetic measurements. That is because the additional interaction with the superfluid is felt only by the baryons. Indeed, this discrepancy could be used to test whether the idea is correct. Khoury et al don’t discuss the possible origin of the fluid, but I like the interpretation put forward by Erik Verlinde. According to Verlinde, the extra-fields which give rise to the effects of dark matter are really low-energy relics of the quantum behavior of space-time. I will admit that this link is presently somewhat loose, but I am hopeful that it will become tighter in the next years. If so, this would mean that dark matter might be the key to unlocking the – still secret – quantum nature of gravity. I consider this one of the most interesting developments in the foundations of physics I have seen in my lifetime. 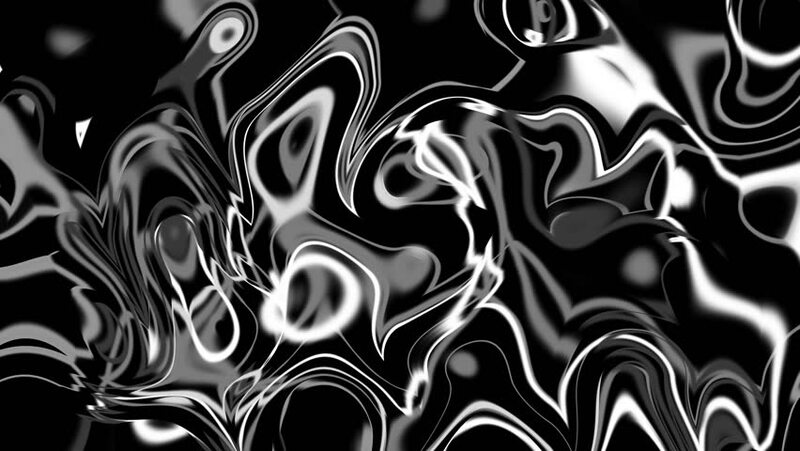 Superfluid dark matter is without doubt a pretty cool idea. Xiao also coming from that direction. Very interesting! How would the fluid "know" about the depth of the gravitational potential it is in, though? Wouldn't that violate the equivalence principle? Not sure why you think so. The fluid knows about the gravitational potential the same way that all matter knows about it, because the gravitational potential is really just curved space-time and stuff moves in space-time. Thank you Dr. H. As often the case reality more complicated than appears at first. But I would love to see you clarify what you mean by "structure of the laws" compared to the laws themselves? Are you for example speaking of (for example) light, gravity, and charge all having inverse square relation to distance? So would it be fair to say what interests you might be termed "comparative theory"? Are there any predictions for effects occuring during the phase transition to/from superfluidity such as energy being released/absorbed in some form? Khoury did a presentation for Brian Greene on WorldScienceU. He is very enthusiastic. A galactic gravitational potential well enacts a "dark matter" condensate with an extended wavefunction. ... 1) Why isn't the condensate irreversibly scavenged by the central black hole, and others, over redshift? Black holes should be visibly snacking between meals. ... 2) Added thermodynamic degrees of freedom are spectroscopically invisible? ... 3) The condensate remains unperturbed by compact-body mergers, not perturbing LIGO waveforms? ... 4) Aharonov–Bohm effect, Aharonov–Casher effect; Hannay angle, Berry phase...where are anomalies from mass currents 5.5× larger than visible baryonic matter, gravito-electric and gravito-magnetic effects? Given vacuum displaying no refraction, dispersion, dissipation, birefringence, decoherence, or gyrotropy toward massless boson photons, physics assumes mass, massless; boson, fermion; point, composite particles all behave. They don’t, do they? I'd say I'm interested in the mathematical structure of reality. And no, there are not jobs for that. Thank you Dr. H for this incredibly interesting article. I will share what you wrote with my 13 year old daughter who is also very interested in the topic of cosmology and dark matter. So superfluid mode is off in the field of a 30-solar-mass blackhole? If certain kinds of fluids can mimic curved space-time, could they also mimic red-shift? "I'd say I'm interested in the mathematical structure of reality. And no, there are not jobs for that." "If certain kinds of fluids can mimic curved space-time, could they also mimic red-shift?" Sabine says yes, but it would be interesting to know the context of your question and its answer. The best known and best understood applications of analogue gravity are black holes and inflation, both of which are essentially all about redshift. "I consider this one of the most interesting developments in the foundations of physics I have seen in my lifetime. Superfluid dark matter is without doubt a pretty cool idea." It is also a good example of the resolution of a debate not by showing that one side was right and the other wrong but by showing that, in some sense, both sides were right. As Carlo Rovelli has pointed out, this is essentially what happened with Special Relativity. Far from being radical, as this is often painted (though of course Einstein himself said that his only radical scientific idea was his explanation of the photoelectric effect), Einstein's real motivation was his conviction that, at least in some basic sense, both Galilean relativity and the Maxwell equations were correct. Yes, his theory made some changes (Lorentz transformations), but at heart his motivation was to show that both sides of an apparent contradiction in classical physics were correct. Thank you Dr. H for this incredibly interesting article. I will share what you wrote with my 13 year old daughter who is also very interested in the topic of cosmology and dark matter." @Castel: "How would the fluid "know" about the depth of the gravitational potential it is in, though?" Take Schwarzschild spacetime, say. In standard spherical coordinates, the time-time component of the metric is 1 + 2*Phi(r)/c^2, where formally Phi(r) = -G*M/r is the Newtonian gravitational potential. So at rest at some point in spacetime, any physical process will slow down by the square root of this metric component and thus 'know' about the 'potential'. Well it's beautiful but is it testable? Supersolid dark matter fills 'empty' space and is displaced by ordinary matter. The supersolid dark matter displaced by the Earth, pushing back and exerting pressure toward the Earth is gravity. What is referred to geometrically as curved spacetime physically exists in nature as the state of displacement of the supersolid dark matter. The state of displacement of the supersolid dark matter is gravity. You mentioned, that temperature in the early universe is too high for condensation and thus hinder respective effects. On the other hand: there is this discrepancy of 'local' and CMB derived Hubble constant determinations - could there be some impact on that? ... 1) Tell us why a photon grazing the solar visible surface experiences a gravitational acceleration exactly twice the calculated Newtonian value. ... 5) Tell us why "supersolid dark matter" is not scavenged by black holes and neutron stars. Note to everyone whose comments I'm not approving: I am not remotely interested to hear what your favorite explanation for dark matter is. Please take your "theories" elsewhere. Supersolid dark matter "can mimic space-time curvature". Meaning, the supersolid dark matter is the space-time fabric. This means the state of displacement of the supersolid dark matter is gravity. Oh my goodness, that is wonderful! Dark matter is the lowest order correction to gravity from quantum effects. I'll go try and read the paper. I don't know what you mean by "supersolid" and in any case, you seem to have severely misunderstood what I wrote. I read your very well written Aeon article on this newly revised superfluid model of dark matter. But one thing has me confused. According to the model the stronger the gravitational well, the more the superfluid phase is damped, and the dark matter particles revert partially, or fully, to their normal phase. I would think that galactic clusters, having empty space between the individual galaxies, would on average have a weaker gravity field than would exist in the near-vicinity of a single galaxy, and thus have a higher proportion of the superfluid phase. If dark matter "can mimic curved space-time", then it and the space-time fabric are the same stuff. That it can doesn't mean it does. this is off-topic but i wanted to note that jerry alper describes you (https://medium.com/@ja.alper20/making-sense-of-mind-blowing-physics-part-two-a04934425db2) as being "brilliant, enigmatic but always fascinating.". i understand and agree with 'brilliant' and perhaps also 'fascinating' (though it's hard to tell with a person whose writings i follow diligently but who i've never met) but why does he think you're enigmatic? you don't seem to be "difficult to interpret or understand; mysterious." in fact, you come across in your writings as quite upfront ("honest; candid; straightforward"). I don't think it's up to me to judge how I appear to other people. I strive to express myself clearly. The intention of my writing is usually to communicate information. Of course that might not always and for everyone work as intended. You are so close to putting it all together. You just need to take the superfluid analogy to its correct conclusion. Dark matter fills 'empty' space and is displaced by ordinary matter. The state of displacement of the dark matter IS curved spacetime. You'll get there and when you do you will be the first physicist to have done so. The particles in this theory are very light. Could they decay slowly over time producing the ultraviolet electromagnetic radiation that caused the re-ionization of the universe after the recombination that followed the big bang? The displacement of dark matter is not curved spacetime, the displacement caused by matter gives rise to what we call dark matter. You still need a fundamental spacetime to start with. You merely get an effective metric on it. This a low-energy effective theory. No one knows anything about its extrapolation to just after the big bang. Another way to think of this is to realize the space-time fabric has mass. The state of displacement of the space-time fabric is curved space-time. The space-time fabric having mass and the dark matter filling 'empty' space are the same stuff. For all I can tell, you are just talking about a fantasy. I will not approve further of your comments unless you come up with a journal publication to support your claims. Are what we would have previously deemed unbounded (unVirialized) galactic clusters Viralised with these superfluid dark matter fields? By which I really mean to ask, is it possible to explain these extra field/particle contribution effects to someone's whose humble depth of understanding stretches to conventional application of the Virial theorem to bounded systems? "The ubiquitous ether coming from the ancient times up to middle of the twenty century is replaced by a superfluid quantum space." The following quote from the article shows that a superfluid spacetime is inadequate to correctly explain observed behaviors. "If it is true that spacetime is a superfluid and that photons of different energies travel at different speeds or dissipate over time, that means relativity does not hold in all situations"
Photon's do not dissipate over time or travel at different speeds in a supersolid spacetime. "the relativistic physical vacuum medium as the ground state of the background field is a super fluid medium"
"postulating that our galaxy is spinning in a superfluid medium. Such a prediction and its corresponding supporting evidence is in strong corroboration with the Resonance Science Foundation researchers' similar postulation that the vacuum structure is a superfluid medium." "One possibility: dark matter vortices. In the lab, rotating superfluids give rise to swirling vortices that keep going without ever losing energy. Superfluid dark matter halos in a galaxy should rotate sufficiently fast to also produce arrays of vortices. " Will the superfluid obey the Navier-Stokes equations? Or will it follow the Ricci flow? Ricci flow models the curvature of manifolds like heat flow. Perelman used the Ricci flow to solve the Poincare conjecture. He proved that he can get rid of singularities in the manifold by a technique called Ricci flow with surgery. Singularities are precisely the problem of general relativity. Are there attempts to apply the Ricci flow to physics? Well, thanks for the references that support my argument, not yours. As I said, spacetime is not a superfluid in this model. "In solar systems, for example, the density of (normal) matter is strongly peaked and the gradient of the gravitational field near a sun is much larger than in a galaxy on the average. In this case, the coherence in the dark matter fluid is destroyed, which is why we do not observe effects of modified gravity in our solar system." Your statement here implies that stars destroy the superfluid state within solar system scales.This also implies that each does not feel the superfluid. In such a scenario the theory collapses. Are you suggesting that stars are encapsulated in a bubble of dark matter gas surrounded by a superfluid? If so , we know what happens to gas bubbles in a liquid; they simply bubble out of the liquid and therefore leaving the galaxy devoid of stars. If gravity can be seen as a fluid, then what about the other forces? Can they be too? Then does this mean that we have a new spin on Thales maxim 'that all is water'? You are making pretty big claims there, but only showing that you don't understand much about effective theory. Since you spit such big words, saying you know all that's supposedly wrong with the idea, I am sure it occurred to you to read the paper. It's not 'gravity that can be seen as a fluid'. It turns out that the laws of gravity have certain analogies to the laws of fluid dynamics. Yes, fluids also obey the laws of fluid dynamics, but it's not very surprising, is it? can standard model neutrinos fit the bill of a dark matter super fluid? No, the standard model neutrinos can't condense - they have no interaction that is strong enough to enable this. They don't hold together, basically. Any idea how well this idea is compatible with our observations of the Bullet Cluster? That's a particularly interesting case, because it implies a very specific and strongly non-symmetrical distribution of the dark matter, unlike the rotation patterns in most galaxies. Dark matter is a superfluid that fills 'empty' space. The bullet cluster is analogous to boats moving through and displacing the water. As the boats pass by each other closely their bow waves pile up and then slosh back out. This is what occurs as the galaxy clusters pass by each other. "when the two clusters smash together, the dark matter falls to the center of the combined cluster and sloshes back out." Are you thinking that the dark matter superfluid thermalizes into motion? I don't know what that means/doesn't parse. I don't think that in general it's thermalized, that would be quite surprising given that galaxies can collide.